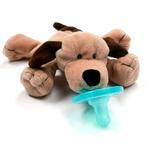 The perfect gift for a baby boy! 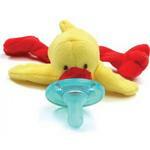 WubbaNub. 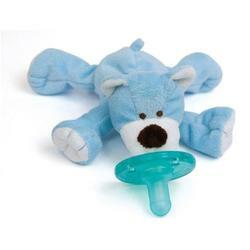 Our WubbaNub Blue Bear is sure to be a babys favorite. 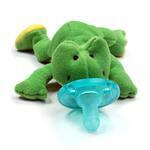 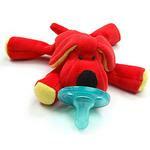 Its unique style allows pacifier to remain close and will easily position to baby. 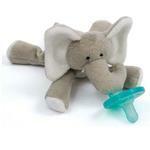 Carefully calculated weight and size of plush animal keeps the WubbaNub™ near babys mouth, whether lying on side or back, the car seat, sling or stroller.